Lipton makes a line of dry soup mixes called Recipe Secrets that are marketed more for use as recipe enhancements than as soup. Onion soup mix is the most popular of the line and is often an ingredient in meatloaf. Lipton onion soup comes in four varieties: onion, beefy onion, onion mushroom and golden onion. The Recipe Secrets line also includes a vegetable flavor and a savory herb and garlic flavor. 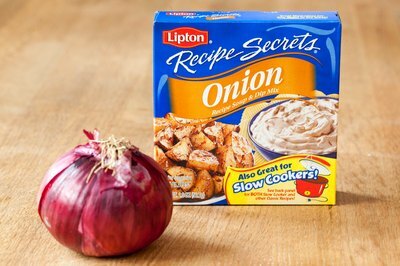 Onion is the original soup mix, and according to its box it is good to use for dip, roasted potatoes, burgers and meatloaf. Lipton also recommends using beefy onion or savory herb and garlic in meatloaf recipes. 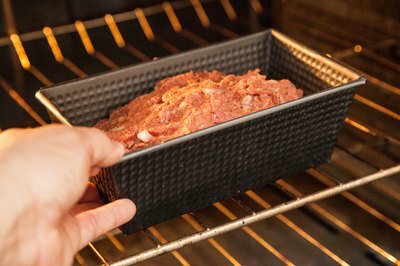 Cooking meatloaf in the oven is the most common method. 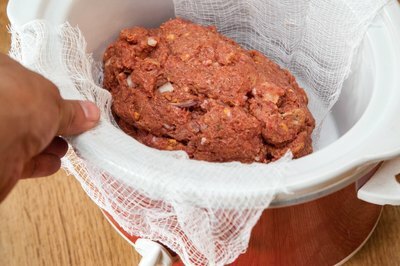 After you mix the hamburger meat, Lipton onion soup and other ingredients together and form it into loaves, bake the meatloaf in a 350 degree F oven for approximately one hour. Let the meatloaf stand for about 10 minutes before serving. Cook meatloaf in a slow cooker on low heat for six to eight hours, or on high heat for about four hours. Use a piece of cheesecloth under the formed loaves to help keep them together when you remove them from the slow cooker. 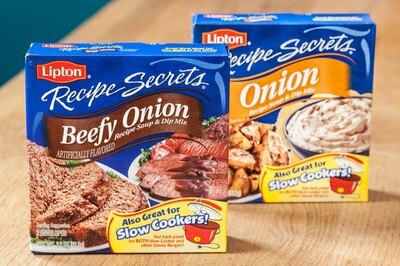 How do I Cook a Pot Roast With Lipton Beefy Onion Mix? How do I Use a Dry Fondant Mix?